Libera has arrived at Jersey safely a few days ago just before the Olympics started, as Kavana and some of the boys tweeted. Even our dearest friend, Patrick (Fan de Lok) has also arrived in Jersey yesterday and he spotted some of the boys wearing angelic white robes, passing out fliers for the concerts. So far, he spotted Josh, Daniel, Tiarnan, Jakob, Luke, Kavana, Dylan, Nano Ben, Matthew J, Matthew M and Cassius. JB was also there but was in his regular clothes. 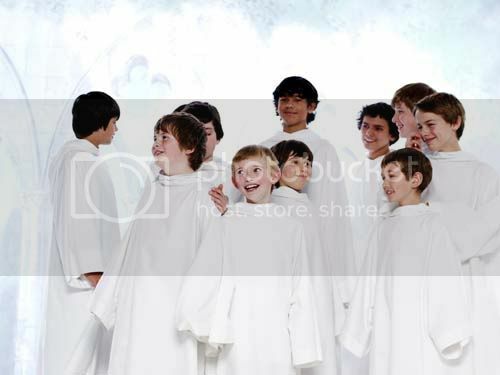 I guess that means he's not singing with Libera anymore. Patrick said he may not have spotted all the boys attending the concerts. My guess is that we'll find out more from him and the fans who were going. The unusual thing happened is that Patrick did not spot some of the chaperones like Eleanor, Barbara or Andy Winter. Oh well, maybe they were with the other boys. 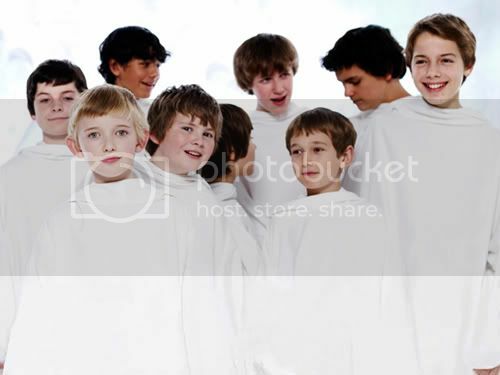 This morning, Libera perform in a church service at St Thomas' Church. The last song was a new song to me called "Salva Regina". 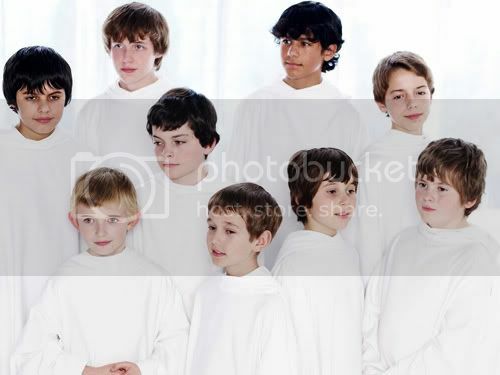 According to Patrick, the choir was behind the altar so he couldn't really see everyone. Ralph, Barney and Stefan wasn't there. Weird. Maybe he couldn't see them too. Good news. Ciaran was there!! Woo hoo!! Hope he gets more solos and sing "Dies Irae" again. Well, that's all what happen at Jersey. Merci, Patrick, for the updates. Can't wait to find out more at the concert and the newbies :DD. Will there be M&G's too? So exciting!! !